I wasn’t sure my heart could take the excitement from last week’s New York Color event. Not only were we being introduced to some fabulous new additions to this trend led, great value brand, but said products were being modelled for us on none other than the very beautiful Louise Johnston, from Fade Street. As a total Fade Street fangirl (I dedicated this post to Louise’s eyebrows. No, really) I was happy but unsurprised to note how professional and charming Louise was in real life, as well as being utterly gorgeous. She confirmed Fade Street will soon return to our screens, and also shared her ambition to open a brow bar someday. I’m so there. But I digress. 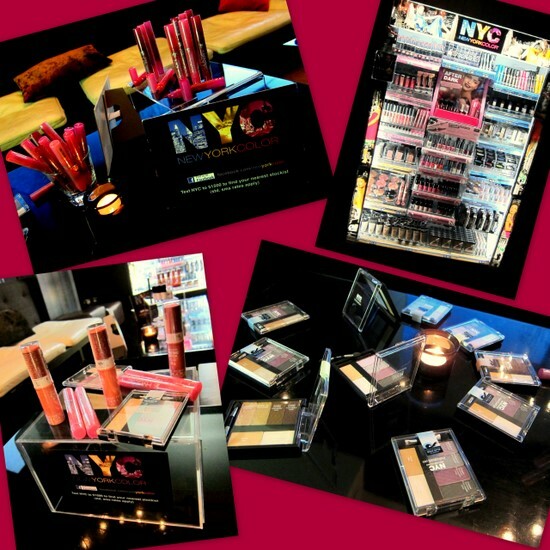 The reason we were gathered together in Dublin’s Morrison Hotel was twofold: to celebrate the launch of NYC in Penneys (O'Connell Street and Mary Street stores, Dublin) and to welcome the latest introductions to the range. New products include a water based lipstain with Vitamin B, in four shades (Berry Long Time, Champagne Stain, Forever Fresia and Persistent Pink). Priced at just €3.99, I’m loving Persistent Pink for a subtle but longlasting daytime look. The eye palettes are exciting too – they come in 3 colour combos, for brown, green or blue eyes, but they also contain a primer and illuminator which set them apart from the usual budget offerings. The IndividualEyes custom compact for brown eyes contains two matte shades and two shimmers in neutral, brown and purple tones, and I’m impressed with the quality, longevity and colour payoff. And the price – a tiny €3.99. From top left: the gorgeous NYC crew; makeup artist Sarah Jane Wai O'Flynn with Joanne from Lovely Girlie Bits; Fluff and Fripperies (with the wine!) 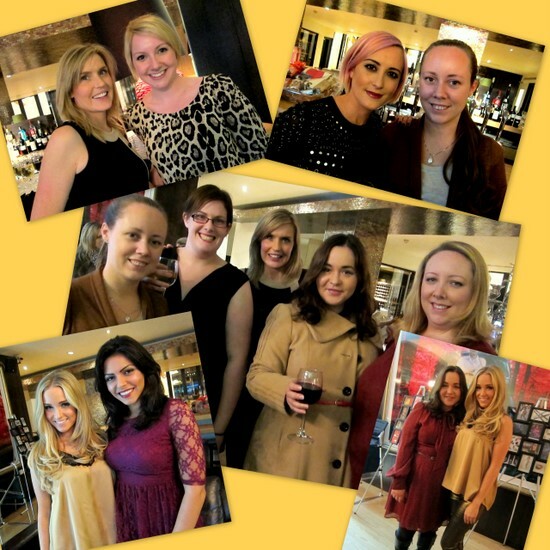 and (l-r) Joanne, Claire from In Claireness Now Fair, Fiona from NYC and Karen from Lovely Girlie Bits; Louise with Melina, also on Fade Street, and me with the lovely Louise. A blushable creme stick is the last item in the Autumn/Winter collection. Available in Plaza Pink or Big Apple Brush, this comes in at €3.49 and is the one product I’ve yet to play about with myself. But Sarah Jane Wai O’Flynn, my newest girl crush and the makeup artist on hand for the event, reliably informs me that the formulation is great: soft, silky and non-greasy, so it doesn’t dislodge your base. So there we have it: anything tickling your fancy from the new collection? NYC products are available from selected Penneys stores (O'Connell Street and Mary Street, Dublin) and chemists nationwide. Nothing in the range costs more than €3.99 and you can text NYC to 51500 at standard SMS rates, to find your nearest stockist. Another lovely post Emma ! Glad to see glamour is alive and well in Dublin. Looks like a great event, love to try those lipstains, have wanted one for a while and that's a great price!! You'll have to watch the new series when it's out Mags, it's addictive! The event looks really good, dont think ive ever tried this brand before!